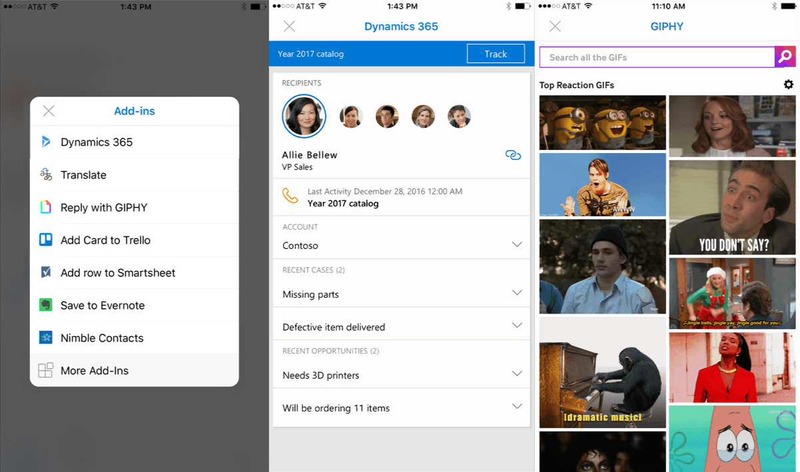 Microsoft announced that Add-ins for Outlook mobile apps on iOS is now available. Outlook add-ins also coming to Android and Windows 10 Mobile devices. Previously, the feature was only available on Windows and MacOS. Currently, add-ins like Dynamics 365, Nimble, Evernote, Smartsheet, and GIPHY have been ported over to Outlook mobile app. Also, there are two new Add-ins Trello and Microsoft Translator that are launching on all Outlook platforms today. To begin using Outlook Add-ins on your iPhone, download the latest version of Outlook app from the App Store first. Now go to Settings -> Add-ins, and tap the icon to add one. You can also download the app from the link below.